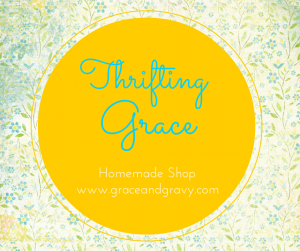 Pina-Pineapple Hawaiian Delight Pie - GraceandGravy with a side of life! 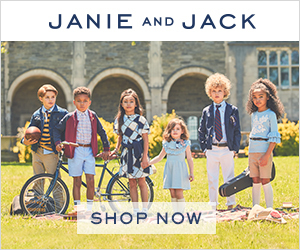 Summertime is here and that makes me think of sun, surf and sand! I may not be able to lay in the sand with a drink that has a tiny umbrella in it, but I can create my own island paradise at home. 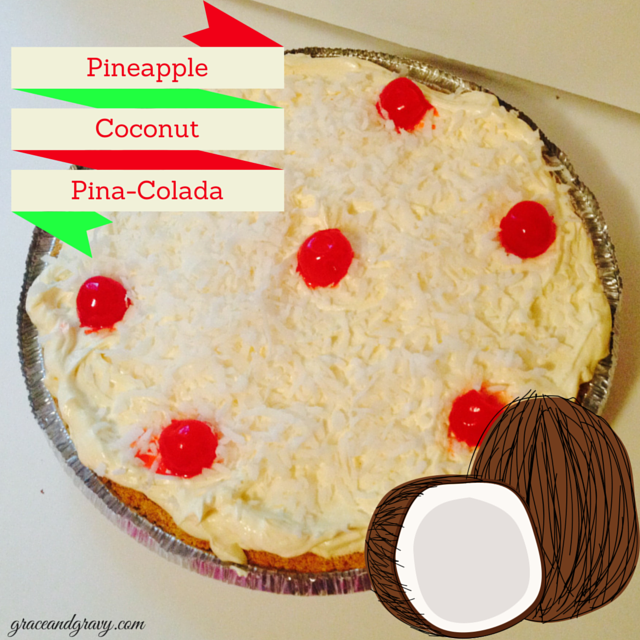 My husband loves anything that consists of Pineapple, Coconut and has the name Pina Colada in the title, so it’s no surprise that he loves my Pina-Pineapple Hawaiian Delight Pie! 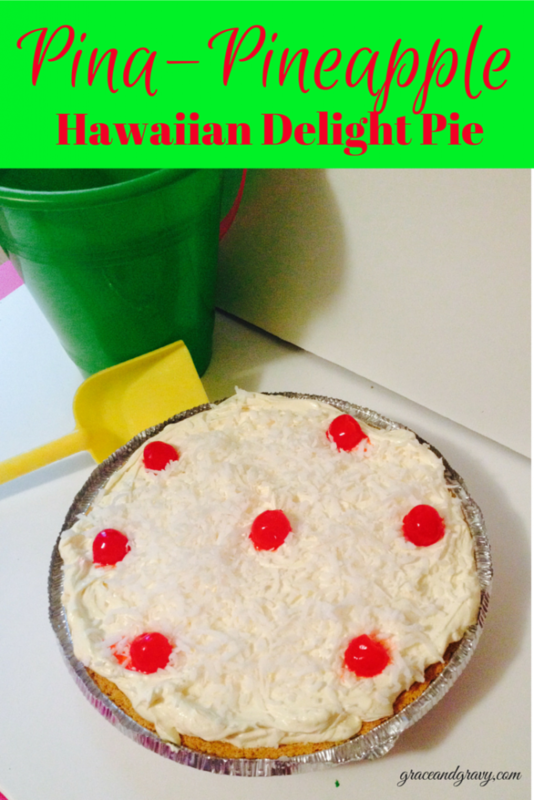 Pina-Pineapple Hawaiian Delight Pie is a tropical fruit pie that really takes a matter of minutes to put together. This recipe is everything you’ve been looking for in a tropical pie; it’s easy, creamy, fruity, and SO delicious! Just an all-around Perfect Summertime Treat! Your go-to dessert when you are dreaming of white, sandy beaches and warm, inviting sunsets! 1) Chill the coconut milk and then whip together with the powered sugar until light and fluffy. 2) Stir in sweetened condensed milk, crushed pinapple and 1/4 cup of shredded coconut , mixing thoroughly. 3) Pour mixture into crust of your choice. 4) Chill for at least 1 hour before serving. 5) Enjoy a slice of paradise!